- PC with missing, corrupt, or out-of-date Drivers? Providing Driver Update solutions to our users since 1995! Are you having problems with your Computer Drivers? Outdated, missing or corrupt Drivers can cause various problems with your computer and devices. The most common problems include no sound on computer, problems with graphics cards, printers not printing, bluetooth connection problems or USB devices not working. Looking for a Driver Update Tool that will automatically update all your outdated, missing or corrupt Software Drivers? 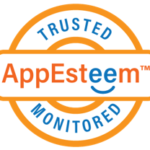 DriverDownloader Update Tool comes highly recommended by users and is fully certified by AppEsteem. Problems with Bluetooth? No sound in Skype? Printer errors? These are just some of the more common problems which can be caused by missing, corrupt or outdated drivers. Network problems and slow computer issues are the main reasons IT professionals will install a Driver Update Tool. Updating all Drivers on a number of PCs requires an automatic Driver Update Tool. Drivers.com has been a trusted provider of such tools to IT professionals for over 20 years! Drivers.com has always been firmly behind the drive towards better practices in the software world. With this in mind, we submitted DriverDownloader to undergo the rigorous AppEsteem assessment and certification process. 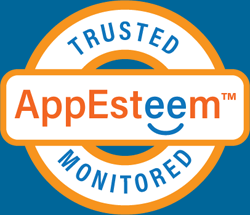 DriverDownloader has been approved by AppEsteem as compliant with best software practices.